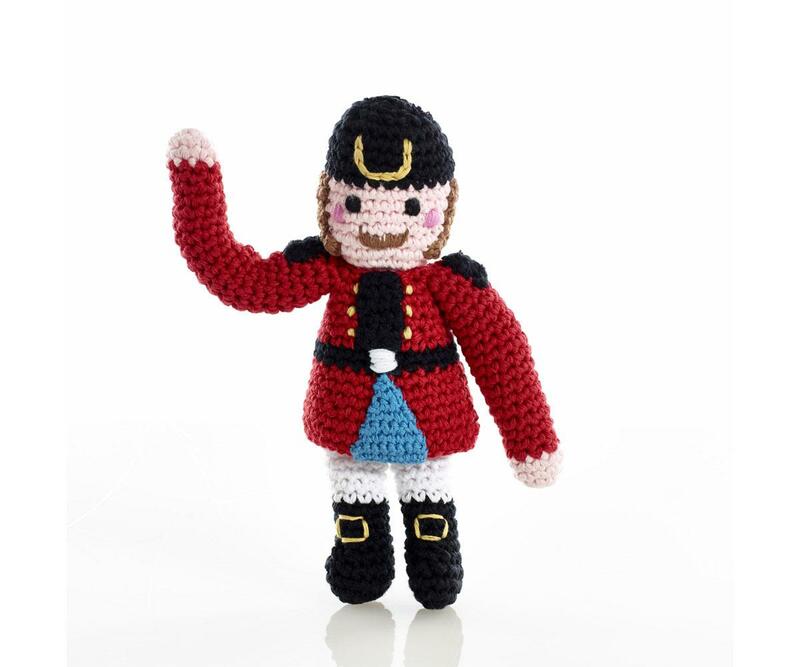 Crochet cotton fair trade Nutcracker Rattle from Pebble toys - an ideal for Baby's first Xmas. Fair trade and handmade from cotton yarn. Suitable from birth and machine washable.